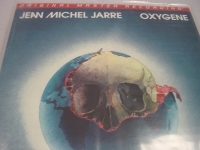 MFSL Anadisq 200 gram LPs - items 25 to 50 Shop MyMusicFix!! "John Hiatt Bring the Family LP (low #21/7500) - Factory Sealed MFSl 200 Gram - Half Speed"
MFSL SEALED Anadisq 200 Gram Half Speed LP John Hiatt BRING THE FAMILY Rare MFSL Limited Edition Pressing #21 (THERE ARE ONLY 20 PEOPLE IN THE WORLD TO HAVE A LOWER PRESSING THAN YOU!!) out of a limited 7,500 pressings and Out of Print for years. Anadisq 200 heavy vinyl re-issue is a piece of musical history and is the only audiophile pressing of this classic recording. This also means that you have the 21st LP ever pressed from the MFSL Original Master Template and 7,479 other audiophilists have a higher generation pressing than yours. The lower the pressing, the more exact to the Original Studio Master. This pressing is going to blow you away. 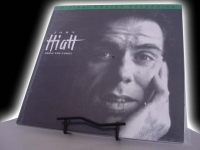 What a tremendous "GIFT" this will make for any true John Hiatt fan. The genius of "Little Village" starts here with hoosier Hiatt laying it down with Roy Cooder, Nick Lowe and Jim Keltner. Features the original version of Bonnie Raitt's hit "A Thing Called Love" - "Memphis In The Meantime" - "Have A Little Faith In Me" - "Alone In The Dark" - "Lipstick Sunset" - "Thank You Girl" - "Tip Of My Tongue" - "Your Dad Did" - "Stood Up" - and "Learning How To Love You." You should really do your homework and check with any audiophile vinyl retailer you know to understand how Rare this title has become. 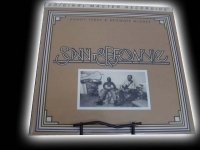 This will affirm to you how valuable this Vinyl MFSL Masterpiece is in the Audiophile Collector's Market You will not find this anywhere in this Pristine Sealed condition. Anadisq 200 Series are mastered with the GAIN SYSTEM and were designed to get the most from your sound system while capturing the incredible realism and presence in the listening experience without the annoyance of surface noise, distortion, hiss and disc warpage. MFSL LIMITED EDITION. This Limited Edition FACTORY SEALED LP is an audiophile collector's item that simply gives the feeling of being directly in the studio with the artist. Used nothing but the finest lacquers. The more you play the LP, your stylus will polish the grooves and actually improve the sonics of your Anadisq 200. It includes rice paper disc sleeve to protect each of these rare LPs. This recording is mastered from the Original Session Tapes. This Out of Print LP has all Liner Notes, Photos, and Artwork from the Original LP faithfully recreated. A SONIC WORK OF ART. These Out of Print gems are the Finest/rarest of the audiophile LP market. The future of these collectibles is so exciting because each piece is a sonic work of art that will never be reproduced using this state of the art proprietary technology, high quality ingredients and attention to detail from beginning to end. The depth and dimension of the music is delivered back to you with all the dynamics and richness of the live recording session. With Mobile Fidelity, you will come as close as possible to hearing the three-dimension quality of the music just as the artist intended it to be. 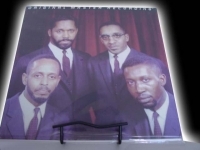 Enjoy being one of the last few to own/collect this Rare piece of musical history INTERNATIONAL BUYERS NEED TO BE AWARE OF THE CUSTOM'S TAXES IN THEIR OWN COUNTRY AND KNOW THEY (AS THE BUYER) ARE RESPONSIBLE FOR CUSTOMS TAXES. OUT OF PRINT PRODUCT is IRREPLACEABLE and therefore NOT RETURNABLE. International Buyers - Please Note: Import duties, taxes, and charges are not included in the item price or shipping cost. These charges are the buyer's responsibility. Please check with your country's customs office to determine what these additional costs will be prior to bidding or buying. Note: It's illegal to falsify customs declarations or mark an item as a "gift" in order to avoid customs fees. 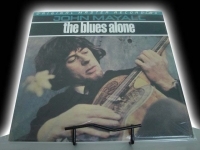 "John Mayall, Blues Alone (low #33) - Factory Sealed MFSL 200 Gram Half Speed"
MFSL Anadisq 200 Gram 1/2 Speed LP "Out of Print" Tracks Include: "Brand New Start" "Please Don't Tell" "Down the Line" "Sonny Boy Blow" "Marsha's Mood" " No More Tears" "Catch That Train" "Cncelling Out" "Harp man" "Brown Suga" "Broken Wings" "Don't Kick Me". 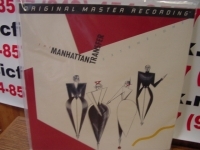 MFSL SEALED -MANHATTAN TRANSFER - EXTENSIONS - LOW NUMBERED 78 (HAS A SMALL INCH SEAM SPLIT ON UPPER SEAM BUT EVERYWHERE ELSE IS PErFECT) Long Out Of Print Anadisq 200 Masterpiece. This MFSL Anadisq 200 Half Speed heavy vinyl is a piece of musical history and is the only audiophile pressing of this classic recording. Track listing 1. Birdland 2. Wacky Dust 3. Nothin' You Can Do About It 4. Coo Coo U 5. Body And Soul 6. Twilight Zone / Twilight Tone 7. Trickle Trickle 8. Shaker Song 9. Foreign Affair Details Playing time: 37 min. Contributing artists: Abraham Laboriel, Alex Acuna, David Foster, Jeff Porcaro, Michael Omartian, Paulinho Da Costa, Richie Cole Producer: Jay Graydon Distributor: n/a Recording type: Studio Recording mode: Stereo SPAR Code: AAD Album notes Manhattan Transfer: Tim Hauser, Cheryl Bentyne, Janis Siegel, Alan Paul (vocals). Additional personnel: Dean Parks, Jimmy Wyble, Steve Lukather (guitar); Jay Graydon (guitar, synthesizer, background vocals); Don Roberts (piccolo, tenor saxophone); Jai Winding, Bill Mays (piano); Greg Mathieson (piano, synthesizer, Fender Rhodes); Michael Boddicker (vocodor, synthesizer, vibrato); Ian Underwood (synthesizer); Andy Muson, Chuck Domanico, David Hungate (bass); Ralph Humphrey (drums). Recorded at Dawnbreaker Studio, San Fernando, California. This fourth album from Manhattan Transfer was the first for Cheryl Bentyne, who replaced Laurel Masse after the original singer's auto accident and subsequent decision to leave the group. Though replacing Masse was difficult, Bentyne's energy and style proved to be the perfect complement to the group's already dynamic performance. 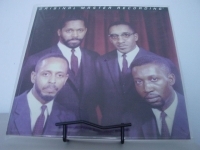 Hits from EXTENSIONS include "Twilight Zone" and "Birdland," which earned the group their first Grammy for Best Jazz Performance, Vocal or Instrumental. Anadisq 200 Series are mastered with the GAIN SYSTEM and were designed to get the most from your sound system while capturing the incredible realism and presence in the listening experience without the annoyance of surface noise, distortion, hiss and disc warpage. MFSL LIMITED EDITION. This Limited Edition FACTORY SEALED LP is an audiophile collector's item that simply gives the feeling of being directly in the studio with the artist. Used nothing but the finest lacquers. The more you play the LP, your stylus will polish the grooves and actually improve the sonics of your Anadisq 200. It includes rice paper disc sleeve to protect each of these rare LPs. This recording is mastered from the Original Session Tapes. This Out of Print LP has all Liner Notes, Photos, and Artwork from the Original LP faithfully recreated. MFSL Anadisq 200 Gram 1/2 Speed LP "Out of Print" Tracks Include: "Birdland" "Wacky Dust" "Nothin' You Can Do About It" "Coo Coo U" " Body And Soul" "Twilight Zone/Twilight Tone" "Trickle Trickle" "Shaker Song" "Foreign Affair". "Manhattan Transfer, Extensions" (# 224)"
"Modern Jazz Quartet, Blues At Carnegie Hall (low # 25)"
MFSL Anadisq 200 Gram 1/2 Speed LP "Out of Print, Last Copies" Tracks Include: "Pyramid (Blues for Junior)" "Cylinder" "Really True Blues" "Ralph's New Blues" "Monterey Mist" "Home" "Blues Milanese" "Bags' Groove". 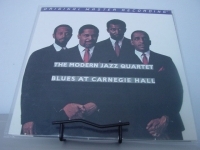 "Modern Jazz Quartet, Live At Carnegie Hall - Factory Sealed MFSL Anadisq"
MFSL Anadisq 200 Gram 1/2 Speed LP "Out of Print" Tracks Include: "Medley: They Say It's Wonderful/How Deeps Is the Ocean/I Don't Stand a" "Between the Devil and the Deep Blue Sea" "Ronde: Drums" "Night in Tunisia" "Yesterdays" "Bags' Groove" "Baden-Baden". 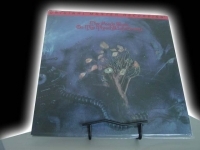 "Moody Blues, Threshold Of A Dream - MFSL Factory Sealed 200 Gram Half-speed - CURRENTLY OUT OF STOCK"
MFSL SEALED - Moody Blues - THRESHOLD OF A DREAM. Anadisq 200 Gram Half Speed LP Long Out Of Print and extremely rare. This MFSL Anadisq 200 heavy vinyl re-issue is a piece of musical history (only 7500 were ever pressed of this long out of print masterpiece) and is the only audiophile pressing of this classic recording. You will be one of the last to own this Numbered MFSL Limited Edition Masterpiece. Mobile Fidelity Records should stand up and take a bow for their valuable Anadisq reissue series of these revered cosmic rockers. The heir to the Progressive Rock throne abdicated by The Beatles in 1969, the celestial rock of the Moody's was a state of the art rage. Sonicly compiled by the magical mellotron sounds of the founding member, Mike Pinder, the universal music message of Moody's magic took rock to its highest levels of the post-Sgt. Pepper music scene. This stunning Audiophile quality sound is the finest and the best way to experience this Top 10 classic from the vintage year of 1969. The Moody's were at the peak of their mini-orchestra phase here. This 1969 release again features the purveyors of classical-rock in all their sonic splendor. -------------------------------------------------------------------------------- Track Listings 1. In The Beginning 2. Lovely To See You 3. Dear Diary 4. Send Me No Wine 5. To Share Our Love 6. So Deep Within You 7. Never Comes The Day 8. Lazy Day 9. Are You Sitting Comfortably 10. The Dream 11. Have You Heard - Part One 12. The Voyage 13. Have You Heard - Part Two Anadisq 200 Series are mastered with the GAIN SYSTEM and were designed to get the most from your sound system while capturing the incredible realism and presence in the listening experience without the annoyance of surface noise, distortion, hiss and disc warpage. MFSL LIMITED EDITION. This Limited Edition FACTORY SEALED LP is an audiophile collector's item that simply gives the feeling of being directly in the studio with the artist. Used nothing but the finest lacquers. The more you play the LP, your stylus will polish the grooves and actually improve the sonics of your Anadisq 200. It includes rice paper disc sleeve to protect each of these rare LPs. This recording is mastered from the Original Session Tapes. This Out of Print LP has all Liner Notes, Photos, and Artwork from the Original LP faithfully recreated. A SONIC WORK OF ART. These Out of Print gems are the FINEST/RAREST of the audiophile LP market. The future of these collectibles is so exciting because each piece is a sonic work of art that will never be reproduced using this state of the art proprietary technology, high quality ingredients and attention to detail from beginning to end. The depth and dimension of the music is delivered back to you with all the dynamics and richness of the live recording session. With Mobile Fidelity, you will come as close as possible to hearing the three-dimension quality of the music just as the artist intended it to be. "Moody Blues, To Our Children's Children's Children - MFSL Factory Sealed 200 Gram Anadisq - CURRENTLY SOLD OUT"
MFSL Anadisq 200 Gram LP. Originally Released in 1969, this was the first album on the Moody's Threshold Label. 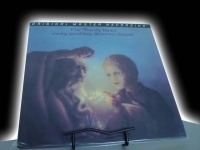 Critics call "To Our Children's Children's Children" the Moody Blues most personal recording and has the lush, rich sound that the Moody Blues are known for. Tracks Include: "Higher And Higher" "Eyes Of A Child I" "Floating" "Eyes Of A Child II" "I Never Thought I'd Live To Be A Hundred" "Beyond" "Out And In" "Gypsy" "Eternity Road" "Candle Of Life" "Sun Is Still Shining" "I Never Thought I'd Live To Be A Million" "Watching And Waiting". 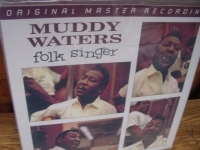 "Muddy Waters, Folk Singer - MFSL Anadisq 200"
MUDDY WATERS - FOLK SINGER - Anadisq 200. This MFSL Anadisq 200 heavy vinyl re-issue is a piece of musical history and is the only audiophile pressing of this classic recording. You will be one of the last to own this MFSL 7,500 Pressing Limited Edition Long Out of Print Masterpiece. Track Listings 1. My Home Is in the Delta 2. Long Distance Call 3. My Captain 4. Good Morning Little Schoolgirl 5. You're Gonna Need My Help 6. Cold Weather Blues 7. Big Leg Woman 8. Country Boy 9. Feel Like Going Home MFSL LIMITED EDITION. This Limited Edition FACTORY SEALED LP is an audiophile collectors item that simply gives the feeling of being directly in the studio with the artist. Used nothing but the finest lacquers. The more you play the LP, your stylus will polish the grooves and actually improve the sonics of your Anadisq 200. It includes rice paper disc sleeve to protect each of these rare LPs. This recording is mastered from the Original Session Tapes. This Out of Print LP has all Liner Notes, Photos, and Artwork from the Original LP faithfully recreated. "Neil Young, Old Ways (low #17) - MFSL Factory Sealed 200 Gram Half-speed"
MFSL Anadisq 200 Gram 1/2 Speed LP "Out of Print." 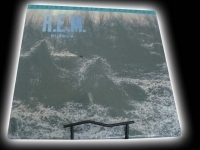 Old Ways" was recorded in various locations in Tennessee and Texas and released on the Geffen Label in 1985. Most of the tracks were produced by Neil Young, Ben Keith, and David Briggs. Elliott Mazer also co-produced three of the tracks. This is Neil like you have never heard him - a must for Neil Young collectors. Tracks include - "The Wayward Wind"- "Get Back To The Country" - "Are There Any More Real Cowboys?" - "Once An Angel" - "Misfits" - "California Sunset" - "Old Ways" - "My Boy" - "Bound For Glory" - "Where Is The Highway Tonight?". "Neil Young, Old Ways - MFSL FACTORY SEALED Anadisq 200 Gram Half Speed - High Numbers"
MFSL SEALED Anadisq 200 Gram Half Speed factory Sealed LP - High Numbers Collectors Note: Over the last year about 90% of these MFSL titles were still available at numberous audiophile dealers. Throughout 2005 over 99.999% of these various remaining titles (tremendously high quality & Valuable) have sold out forever and have tripled in value. This title is one of those Sold Out titles and this Mymusicfix listing is your last chance to add this collectors masterpiece to your collection. Do your home work and you will soon realize that you will be one of the last people in the world to own this sonic gem. 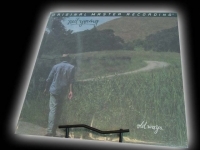 Neil Young OLD WAYS This Tremendously Rare MFSL Limited Edition out of a limited 7,500 pressings and Out of Print for years. 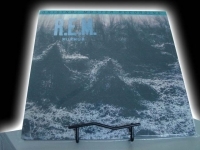 WE DO HAVE LOW NUMBERED ONES FOR SALE (about $100 higher in price) Anadisq 200 heavy vinyl re-issue is a piece of musical history and is the only audiophile pressing of this classic recording and is not available anymore at any audiophile retailer anywhere in the world. This also means that you have the 36th LP ever pressed from the MFSL Original Master Template and 7,464 other audiophilists have a higher generation pressing than yours. The lower the pressing, the more exact to the Original Studio Master. This pressing is going to blow you away What a tremendous "GIFT" this will make for any true audiophile fan. This solo effort represents a countrified Neil Young. This Album features duets with Country Super Stars Willie Nelson and Waylon Jennings. For years, Neil Young dabbled with various aspects of country-style music but on OLD WAYS he takes country music and turns it into pure Neil Young. He rounded up some hot music country talent for an Album dedicated to a genre that is uniquely American. Country outlaws Willie Nelson and Waylon Jennings play a role on all but three of the tracks either in duets with Neil or on electric and acoustic guitars. Janice Oliver-Gill and Christine Oliver-Arnold (the sweethearts of the rodeo) and Marty Stuart provide featured back up. OLD WAYS was recorded in various locations in Tennessee and Texas and released on the Geffen Label in 1985. Most of the tracks were produced by Neil Young, Ben Keith, and David Briggs. Elliott Mazer also co-produced three of the tracks. 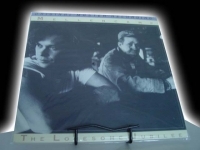 This is Neil like you have never heard him - a must for Neil Young collectors. Tracks include - "The Wayward Wind"- "Get Back To The Country" - "Are There Any More Real Cowboys?" - "Once An Angel" - "Misfits" - "California Sunset" - "Old Ways" - "My Boy" - "Bound For Glory" - "Where Is The Highway Tonight?". You should really do your homework and check with any audiophile vinyl retailer you know to understand how Rare this title has become. This will affirm to you how valuable this Vinyl MFSL Masterpiece is in the Audiophile Collector's Market. You will not find this anywhere in this Pristine Sealed condition. Anadisq 200 Series are mastered with the GAIN SYSTEM and were designed to get the most from your sound system while capturing the incredible realism and presence in the listening experience without the annoyance of surface noise, distortion, hiss and disc warpage. MFSL LIMITED EDITION. This Limited Edition FACTORY SEALED LP is an audiophile collector's item that simply gives the feeling of being directly in the studio with the artist. Used nothing but the finest lacquers. The more you play the LP, your stylus will polish the grooves and actually improve the sonics of your Anadisq 200. It includes rice paper disc sleeve to protect each of these rare LPs. This recording is mastered from the Original Session Tapes. This Out of Print LP has all Liner Notes, Photos, and Artwork from the Original LP faithfully recreated. A SONIC WORK OF ART. These Out of Print gems are the Finest/Rarest of the audiophile LP market. The future of these collectibles is so exciting because each piece is a sonic work of art that will never be reproduced using this state of the art proprietary technology, high quality ingredients and attention to detail from beginning to end. The depth and dimension of the music is delivered back to you with all the dynamics and richness of the live recording session. 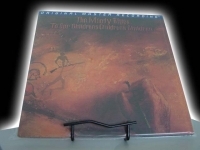 With Mobile Fidelity, you will come as close as possible to hearing the three-dimension quality of the music just as the artist intended it to be. "Nirvana, Nevermind - Anadisq 200 - CURRENTLY SOLD OUT"
NIRVANA - NEVERMIND - Anadisq 200. This MFSL Anadisq 200 heavy vinyl re-issue is a piece of musical history and is the only audiophile pressing of this classic recording. You will be one of the last to own this MFSL 7,500 Pressing Limited Edition Long Out of Print Masterpiece. 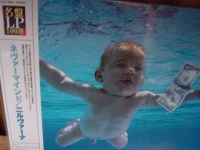 If Nevermind's sound is familiar now, it's only because thousands of rock records that followed it were trying very hard to cop its style. It tears out of the speakers like a cannonball, from the punk-turbo-charged riff of "Smells Like Teen Spirit" onward, magnifying and distilling the wounded rage of 15 years of the rock underground into a single impassioned roar. Few albums have occupied the cultural consciousness like this one; of its 12 songs, roughly 10 are now standards. The record's historical weight can make it hard to hear now with fresh ears, but the monumental urgency of Kurt Cobain's screams is still shocking Track Listings 1. Smells Like Teen Spirit 2. In Bloom 3. Come as You Are 4. Breed 5. Lithium 6. Polly 7. Territorial Pissings 8. Drain You 9. Lounge Act 10. Stay Away 11. On a Plain 12. Something in the Way This album is from a time when any music of NIRVANA was a rock treasure. Anadisq 200 Series are mastered with the GAIN SYSTEM and were designed to get the most from your sound system while capturing the incredible realism and presence in the listening experience without the annoyance of surface noise, distortion, hiss and disc warpage. 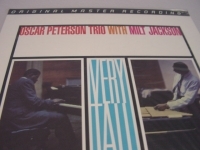 "Oscar Peterson Trio w/ Milt Jackson, Very Tall - 200 Gram Vinyl"
MFSL Anadisq 200 Gram 1/2 Speed LP "Out of Print, Last Copies" Tracks Include: "Green Dolphin Street" "Heartstrings" "The Work Song" "John Brown's Body" "A Wonderful Guy" "Reunion Blues". 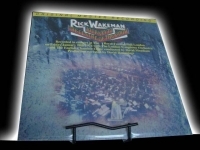 "Rick Wakeman, Journey to the Centre of the Earth - Factory Sealed MFSL 200 Gram Half-speed Anadisq - CURRENTLY SOLD OUT"
MFSL Anadisq 200 Gram 1/2 Speed LP "Out of Print, Last Copies" Rick Wakeman Journey to The Centre Of The Earth (live) - Long Out Of Print Anadisq 200 Gram Half Speed LP Rare Limited Edition Numbered with 7500 pressing ever made worldwide. LAST COPY FOREVER A classic rock / symphonic piece recorded in 1974 at The Royal Festival Hall in London with The London Symphony Orchestra and The English Chamber Choir. Performing on synthesizer, Wakeman is joined by narrator David Hemmings, Garry Pickford-Hopkins and Ashley Holt (vocals), Mike Egan (guitar), Roger Newell (bass) and Barney James (drums). The four parts of this release include "The Journey," "Recollection," "The Battle" and "The Forest." -------------------------------------------------------------------------------- Track Listings 1. Journey/ Recollection 2. Battle/ The Forest Anadisq 200 Series are mastered with the GAIN SYSTEM and were designed to get the most from your sound system while capturing the incredible realism and presence in the listening experience without the annoyance of surface noise, distortion, hiss and disc warpage. 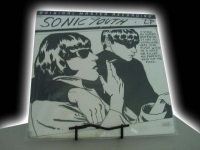 "Sonic Youth, Goo - MFSL 200 Gram Anadisq - no longer available - sold out"
MFSL Anadisq 200 Gram 1/2 Speed LP "Out of Print, Last Copies". Tracks Include: "Dirty Boots" "Tunic(Song For Karen)" "Mary-Christ" "Kool Thing" "Mote" "My Friend Goo" "Dissapearer" "Mildred Pierce" "Cinderella's Big Score" "Scooter + Jinx" "Titanium Expose". MFSL Anadisq 200 Gram 1/2 Speed LP "Out of Print, Last Copies" Tracks Include: "People Get Ready" "Bring It On Home To Me" "You Bring Out The Boogie In Me" "Sail Away" "Sonny's Thing" "White Boy Lost In The Blues" "The Battle Is Over (But The War Goes On)" "Walkin' My Blues Away" "Big Wind (Is A' Commin')" "Jesus Gonna Make It Alright" "God And Man" "On The Road Again".